The house Champagne of the Bollinger range, the Special Cuvee is predominantly made up of the Pinot Noir grape and a variety of reserve wines. Bollinger’s non-vintage holds all the longevity and complexity of a vintage Champagne, with the aged wines providing all the citrus and brioche flavours necessary. 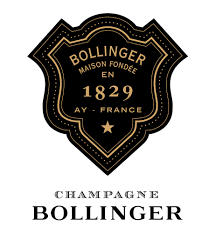 Bollinger is one of the few remaining independent family owned Champagne houses. The house was established in 1829 and is still independently family owned, one of the very few that are. Since 1829, it has acquired 403 acres of the finest vineyard sites to that it can guarantee the highest quality wine.